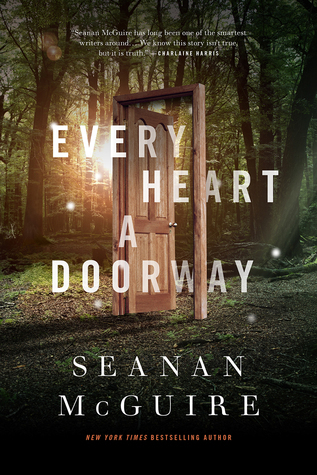 Every Heart a Doorway by Seanan McGuire is a fascinating read, but this is not a review of the book. If you are interested in learning more about the book, look it up. I only want to mention one of many elements that made me stop and think about my own writing. This element involves expectation and making a twist that thwarts that expectation. Trying not to be too spoilery, the scene occurs in the first act when we meet the main character. She is described as having black hair with white streaks. We learn that when she was in a magical land, a character there had run his fingers through her hair making the streaks. My immediate reaction was: Where he touched her hair, her hair had turned white. Then the narrative continues with a description of how the streaks were made: The hair that was not touched turned white with jealousy. Oh! That was an unexpected twist. It was simple, straight forward, totally violated my expectations, and it was wonderful. I often think about the need for big twists in my stories (an example of a big twist occurs in “The Sixth Sense” (1999)), but I had not considered little twists. Is there anywhere in my writing where I make such twists that challenge my readers’ expectations in surprising ways? I fear not unless I wrote the little twists without thinking about them. Reading “Every Heart a Doorway” changed me as a writer. I learned a new skill. Now, I need to intentionally apply it to my writing.